The Douglas County Lifestyle Expo features companies, community organizations and nonprofits that specialize in your Douglas County lifestyle. The Douglas County Lifestyle Expo is a one day event held at the Douglas County Events Center (8 AM to 2 PM) that inspires, educates, and reminds community residents to Live, Work, Play in Douglas County. This event showcases all things great about Douglas County, highlights businesses and non profit organizations that support our community and celebrates them. The day starts off with a 5k race! Boulder Running Company, Castle Rock Chamber​ and StrideMob​ have joined forces in the effort to bring you the Zackari Parrish 5k Run/Walk #BacktheBlue at 9 AM. The race will coincide with the Douglas County Lifestyle Expo​. 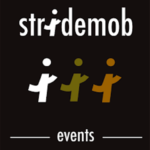 Race Registration is NOW OPEN! The Zackari Parrish 5k Run/Walk (9 AM to 12 PM) was inspired by the sacrifice of Deputy Parrish and his Douglas County brothers behind the badge by Erin Dilbeck. The Parrish Family as well as the Fallen Officers fund are beneficiaries of the 5k. Admission to the Expo is FREE, Bring the entire family! Click on pictures above to view all of the photos from the day. Register Now, Get Face to Face with thousands of consumers all in one day! – Sorry Registration is Closed for the 2018 Event. Contact Alicia with questions. 1 STOP Tire & Auto Colorado Christian University LeafFilter North, LLC. Contact John Woodrick to volunteer for this event or call the Chamber at (303) 688-4597. 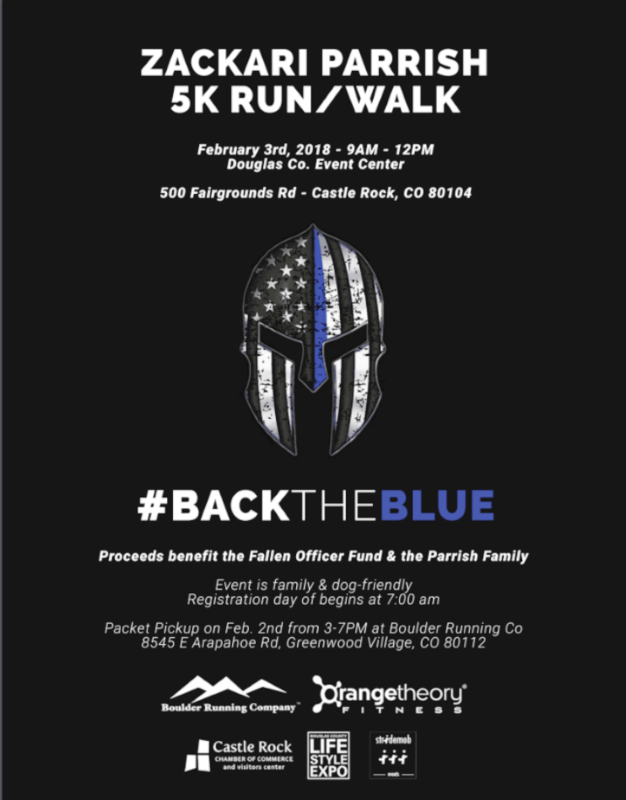 Boulder Running Company – Greenwood Village, Castle Rock Chamber and StrideMob have joined forces in the effort to bring you the Zackari Parrish 5k Run/Walk #BacktheBlue on Saturday, February 3rd at the Douglas County Events Center. The race will coincide with the Castle Rock Chamber’s Douglas County Lifestyle Expo. Race Registration is NOW OPEN! Following the race, runners can enjoy a pancake breakfast prior to entering the Douglas County Lifestyle Expo (where the awards ceremony will be held) they can enjoy vendor booths and ongoing entertainment. Bring your spectators, the expo is free and open to public and will include a kid’s obstacle course, interactive displays and more. To learn more details about the 5k race and to register visit here. Packet pick up will take place at Boulder Running Company, Greenwood Village on Thursday & Friday, Feb 1st & 2nd from 3-7pm. Standing out in a crowd of competitors is no easy task, and it’s getting more difficult all the time. Contact the Castle Rock Chamber today to learn about the exciting sponsorship opportunities we can offer your business. Email Alicia Early or give her a call at the Chamber (303) 688-4597. Starting a new business in a new community is always a challenge. Attending the expo was a fast, cost effective way to meet my future customers. Face to face interactions/introductions are priceless! Contact the Castle Rock Chamber today to learn about the exciting sponsorship opportunities we can offer your business. Email Alicia Early or give her a call at the Chamber (303) 688-4597.